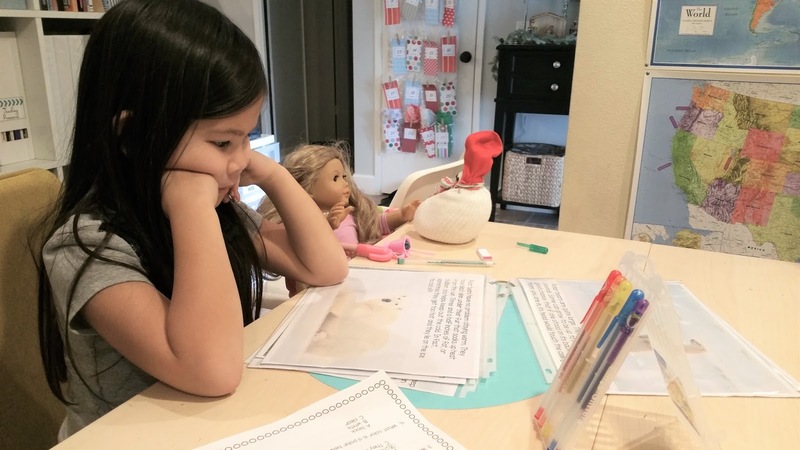 The Christmas season brings so many FUN teaching activities. 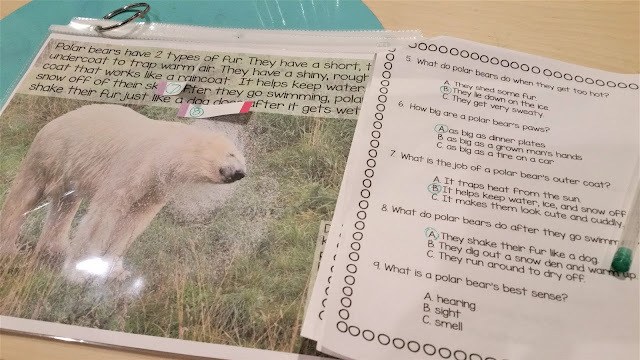 My little Karis loves polar bears so I quick looked up some polar bear reading units on Teachers Pay Teachers and found this one. I love it because I'm really into great pictures and this one has amazing pictures! I printed up the pages and put them into sheet protectors, then connected them with a ring so that we could work with them. 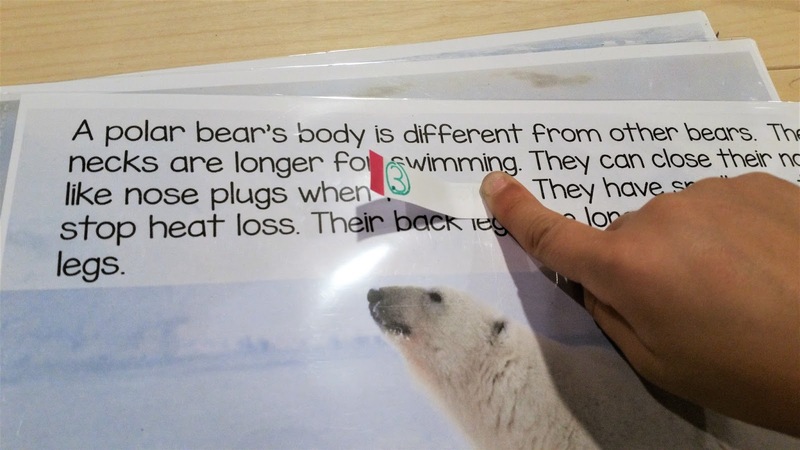 If you're using them in class, I would forgo the sheet protectors and just print and staple. 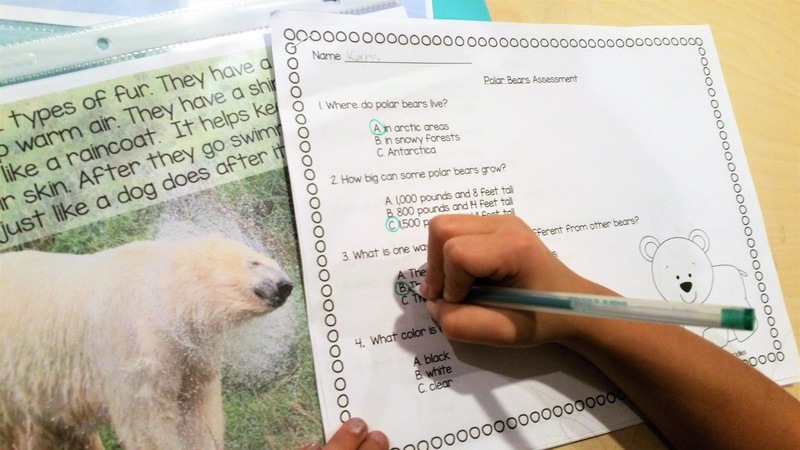 Citing evidence is a HUGE deal in classrooms right now. 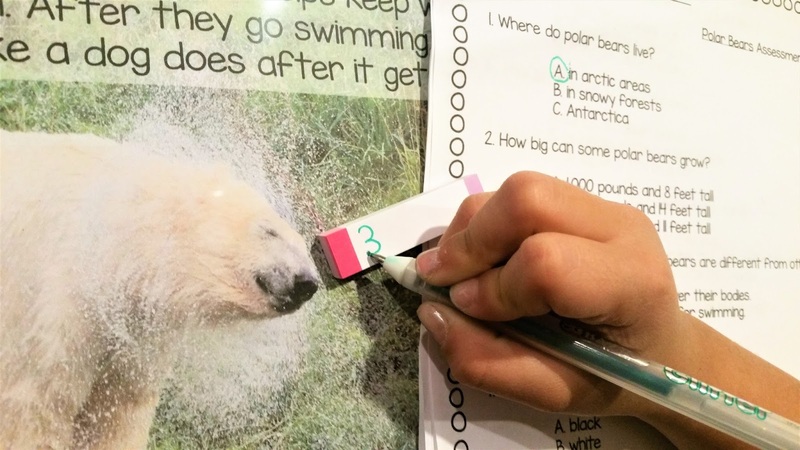 Even though we homeschool and are not in a "classroom", I feel that this skill is such an important part of learning so I try and incorporate it into our readings anytime I can. So when my little first grader began answering questions about the polar bear "book" that she just read, it was a perfect time for me to teach her how to cite evidence from the text. I had her read the questions and told her that she was not allowed to just circle the answers (even if she knew it) without showing me where in the text it came from . We sing, " Prove it, show me, underline the answer." In this case, we used sticky notes because I wanted to display the book and not have writing in it. Also, colorful glittery gel pens always adds more fun! My, they grow up way too fast! 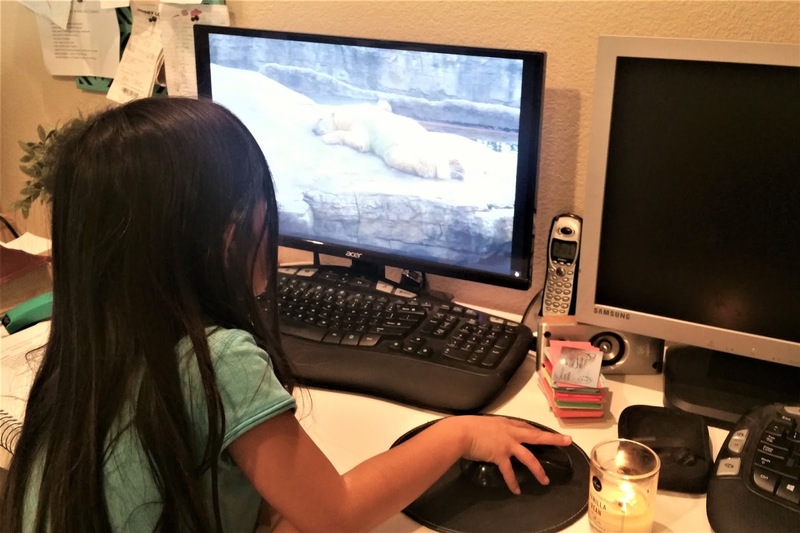 We also got to watch a live cam on polar bears on the polar cam from the San Diego Zoo. She loved learning about polar bears and was ecstatic to get 100% on her reading comprehension assessment of her polar bear book. Plus, it was such a fun activity (she loves to use sticky notes!) that taught her a very important skill that we will build upon as the years go on. Now, I would say THAT is a win-win!